About Us | Armed Missouri, Inc.
How We Began: Armed Missouri, Inc. began in January 2004 when Wally Shoffner began to conduct Missouri CCW classes on his own. Seeing a steady increase in the demand for quality firearms training in the state of Missouri over the next few years, he was joined by Nic Shoffner and Chris Shoffner as instructors. AMI was fully incorporated in early 2008. For well over a decade, AMI has endeavored to maintain nothing but the highest standards so we can provide every student with the training experience they deserve. What Sets Us Apart: We understand that choosing an instructor and a firearms training course is a serious matter. In addition, we also understand that there are a lot of different instructors and courses out there to choose from. With training resources (time and money) being very limited for most all of us, it can be hard, and sometimes overwhelming, to sort through all of the different options. There are some instructors out there who may try to lead you to believe that only a combat-hardened, 20-year Spec-Ops veteran can provide proper training to the armed citizen, while there are others that may be cutting corners on training in order to maximize their profit at your expense. In reality, the kind of training the armed citizen requires can be significantly different than the kind of training military or law enforcement personnel will need. Spending a weekend in a “boot camp” environment will likely do little good for the armed citizen interested in the very real business of protecting themselves and their families on the street and in the home. While it may be fun or exciting to learn how to operate a machine gun or how to perform a dynamic entry into a barricaded building, those types of skills simply have very little practical application in the real-world civilian environment that the armed citizen lives and conducts business in each day. Spending valuable training resources learning skills you will never use and never be able to practice is a gross waste of your time and money. 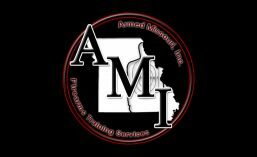 At Armed Missouri, Inc., we operate within the confines of reality and we understand that no training course, regardless of the instructor or facility that provides the training, will ever be perfect. We also realize that your time and resources are not unlimited, and since we understand that no course of instruction can ever cover every possibility, we remain focused on teaching proven concepts and curriculum that stay grounded in the tactical and legal realities the armed citizen is most likely to face in their daily lives. We are proud of the way we conduct our classes and the way we conduct ourselves as instructors. We believe in trying to keep quality firearms training affordable and accessible to every law-abiding citizen who desires it. What we don’t believe in is trying to lure students in with hype and gimmicks or pricing our training courses out of the reach of the average person, nor will we ever use our training classes as a platform from which to try to sell you books, videos, firearms, or other merchandise on time you have paid for (though we are always happy to make recommendations based on your individual needs if you ask). Our Commitment to You: Our instructors are dedicated to our students and each of them is committed to the seven tenets of the Code of Professional Defensive Shooting Instructors that is promulgated by the Association of Defensive Shooting Instructors. With three instructors and small class sizes (usually less than ten students), each student receives the personal attention they deserve. Our extensive firearms training background and our commitment to continuing training allows us to provide you with the best possible learning experience and the most accurate, up-to-date information. We have consulted and continue to consult with defense attorneys, prosecuting attorneys, Law Enforcement Officers, other trainers, and other professionals knowledgeable in the fields of self-defense as well as Missouri Firearms and Use of Force laws to insure the information we provide you is accurate, complete, and up-to-date. Our Guarantee: At Armed Missouri, Inc., your safety and satisfaction are our number one priority. We firmly believe that our classes are among the highest in quality as well as the lowest in price anywhere in our region of the country. We will gladly provide professional and/or prior-student references to any prospective student who requests them. We will continue to ensure that our instructors are actively involved in ongoing training for themselves so they can provide the most complete and most up-to-date instruction to you. We will strive to always act in a professional manner and to always treat you like a respectful human being rather than like cattle that are being herded through the classroom. We firmly believe that we produce a higher level of competency, through a higher standard of training. If, after the completion of any training course you take with us, you are not satisfied with the instruction you received, we will gladly refund your money (less the cost of any course materials you have used or kept, and less the issuance of any course completion certificates). Where we Stand: We firmly believe in the fundamental right to keep and bear arms that is codified and protected in the Second Amendment to the United States Constitution. We also believe in being involved in the legislative process and in helping to make sure this protection remains strong. All of our instructors are life members of the NRA (National Rifle Association) and Armed Missouri, Inc. is an affiliate in good standing of the MSSA (Missouri Sport Shooting Association), which is Missouri’s Official NRA State Affiliate Organization. We believe that by strengthening these fine organizations, we also strengthen the future for the individual right to bear arms. Find out more about our instructors.